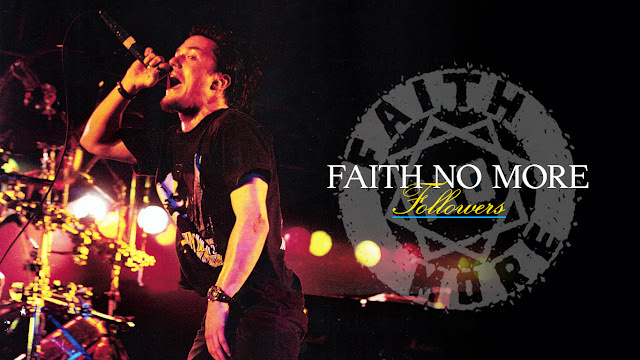 Faith No More's singer Mike Patton isn't your standard rock idol. He may claim that his fave pleasure is a cup of Ovaltine, but his notorious 'pooping outside Princess Di's house' incident hints at his 'unusual' personality. Mike Patton recalls Faith No More's most recent visit to London with amazing clarity. Not because he really gave out attitude on stage, or because he has a soft spot for the place. No, the real reason why Mike recalls the trip so vividly is because during a late night walk through the city, he found himself outside Kensington Palace, the plush residence of Princess Diana. Suddenly feeling the call of nature, the temptation was too much and he left a little calling card. "Yeah I pooped on a bench right outside the Palace," smirks the man himself, propped up on a chair in a plush Las Vegas hotel, where the band are in the middle of a sell-out US tour. "I couldn't believe it was so easy to get in there. It's the equivalent of the US President's White House, right? If you were caught inside there, they'd torture and shoot you! I mean, the Princess could have passed by at any minute, which would've been quite handy, 'cause I could've asked for some toilet paper, hur hur." This little tale has become as famous, the band's recent chart hit I'm Easy. But, it's not until you know little bit about them that such behaviour seems rather inappropriate. Faith No More aren't your average bunch of loud-mouthed rockers. They might have the hair and do a nice line in guitar licks, but that's where the stuff that rock legends are made of ends. They hate all that nonsense. Take this on board: the video for I'm Easy, features the front man parading around a hotel room with a group of men dolled-up in drag. The band's keyboards player, Roddy Bottum, is openly gay, and the rest are very much against taking advantage of their female groupies. it's all so unrock 'n' roll. Well, at least Mike still looks like a rock star, with his tour T-shirt, shorts, eyebrow. Strangely, he's clutching a voodoo doll, which he calls Toodles, and a snoot novel. "It's really stupid, I know" he says, almost apologising for the loutish pooing incident. "Exploits like that aren't exactly something I plan or analyse before I got to sleep at night. I don't have a roadie following me with a pooper-scooper or anything as ridiculous, hur hur!" Still Mike insists that, unlike contemporaries like Axl Rose or Kurt Cobain from Nirvana, he doesn't want to be seen as a rock animal. "I think the rock 'n' roll lifestyle's a myth," he claims. "It's got nothing to do with what we're doing. I don't even listen to that rock 'n' roll rubbish." Well, indeed. Anything else you'd like to get off your chest, Michael? "I don't want to be buried, and I don't want a tombstone either. When I die, I'd like to be melted down into liquid form, hardened, and rolled into a ball-like dough. Then I'd be dipped into a crystallising substance, baked and eaten like a cake." Oh, yum yum. Although Faith No More have been around for the best part of 10 years, Mike himself didn't join the others until 1989. Back then, he was a badly dressed 22-year-old train spotter who still lived at home with his folks in California. Apparently the first thing he did when joining up was ask when his holidays were. Whether or not he fitted in though, wasn't quite the issue, because Mike brought a bit of the all-important hunk factor to Faith No More, and with the new female following he attracted, they enjoyed their first sniff of chart success. But it wasn't until a much publicised tour as the support slot to Guns N' Roses last year, that the band really found stardom. Although they went down a storm, they didn't exactly see eye-to-eye with their hosts. In almost every interview during the tour, Faith No More took the mickey out of G N' R for living up to the corny rawk 'n' roll image. "For a while, we kept our mouths shut," admits Mike, "but then we gave up being quiet about their stupid games and made fun of them instead. We toured with them for months, but we never once met Axl. "Their whole lifestyle was contrived. It was almost like watching a Bugs Bunny cartoon. We'd see all this amazing stuff, like Axl's psychic healer blessing his microphone every day! Faith No More could never be like that because we aren't cool enough to be seen as that crazy, Guns N' Roses are a hamburger in the way that they're so mainstream. We're more like tongue, or haggis. Or even black pudding! Those meats aren't cool." It sounds like Mr Patton doesn't feel exactly at one with being famous, and he's the first to admit it. Being a pop star is like being an alien. You get into your time capsule and you can do whatever you want. You can create your own little reality which is safe. It's sick really." 'Safe' isn't necessarily an appropriate word to describe his antics during live shows. He's been known to throw himself off the stage into the audience, often injuring fans in the first two rows. But then, he claims that's because he doesn't quite know what else to do. "It's like, I wish singing was like being in a boxing ring, so that every three minutes, I could get advice about what to do next. "I actually have a sense of guilt when I'm up there and it's something I don't feel comfortable with. Most of my friends are working their butts off for eight hours a day and Faith No More don't do a damn thing like hard work.We work about an hour a day, travel the world and are pretty spoiled." This lot get curiouser and curiouser. If they don't want to be rockers and don't particularly enjoy being pop stars either, then how come they want their fans to see them? prefer a cup of Ovaltine, although I'm having difficulty even finding that at the moment. I guess when it comes down to it, we're just a bunch of geeks really." A bunch of jessies, by any chance? "Jessie? I don't understand," he says. Y'know, sensitive weaklings? "If you mean sensitive, then yeah, I'm pretty wimpy really. Well I like wimpy hamburgers, so that's got to make me wimpy..."
Faith No More. Understand them at your peril.